The most indulgent yet the simplest most natural treatment we offers is our multi award winning Seaweed Bath experience. Seaweed bathing has enriched the lives of the people on this island for more than a century. 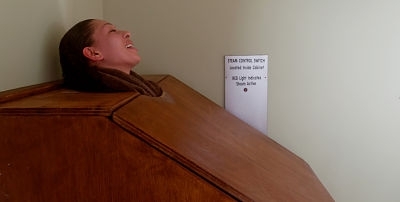 In Victorian times hot seawater baths were all the rage. Farmers along the coast who used seaweed for fertiliser found handling the weed brought relief from hacks and other sores. At some point someone put two and two together and got MAGIC. We have six single seaweed bathing rooms which can be shared (usually by couples) if desired and we have one double room (two baths). • Sessions last for one hour. • Towels and hair drying facilities are provided. • Bring your favorite CD or choose one from our selection. • Fresh seaweed is used for every bath. • Groups can be catered for. "Seaweed baths are amazing you go in feeling stressed out, tired and grumpy and come out like a new person, refreshed, and feeling great. 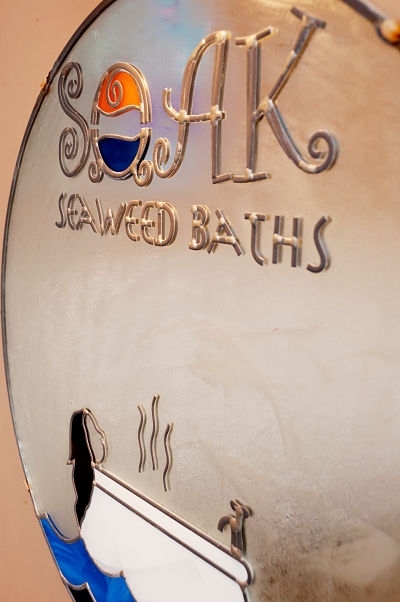 Soak is fantastic"
Treat yourself to your very own private seaweed bathing room complete with a single traditional seaweed bath, a shower and an individual steam pod*. Bring your partner and share a private seaweed bathing room complete with a single traditional seaweed bath, a shower and a steam pod*. Enjoy our double seaweed bathing room complete with two traditional seaweed baths, a shower and a steam pod. Perfect for couples, friends or family. If you request an additional person to share the bathroom with you. Usually only recomended for the double bathroom. 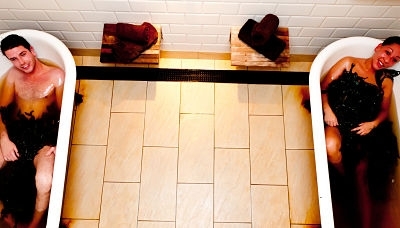 *In the single and shared single bathrooms you have a choice of steam pod. Click the button below for more information.